Innovation is becoming increasingly important for companies. Creative technologies enhance intelligence and help to develop innovative ideas. 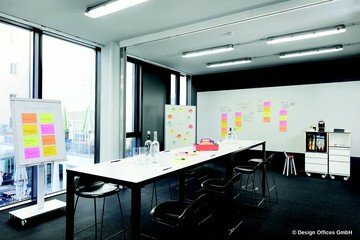 This room can play an important role when applying methodologies such as design thinking, scrum or classic brainstorming. The Meet &amp; Move Room is designed to offer an ideal environment for vertical working in interdisciplinary teams. The combination of bar-style high table and communication corner ensures a relaxed atmosphere and space for creative stimulation. 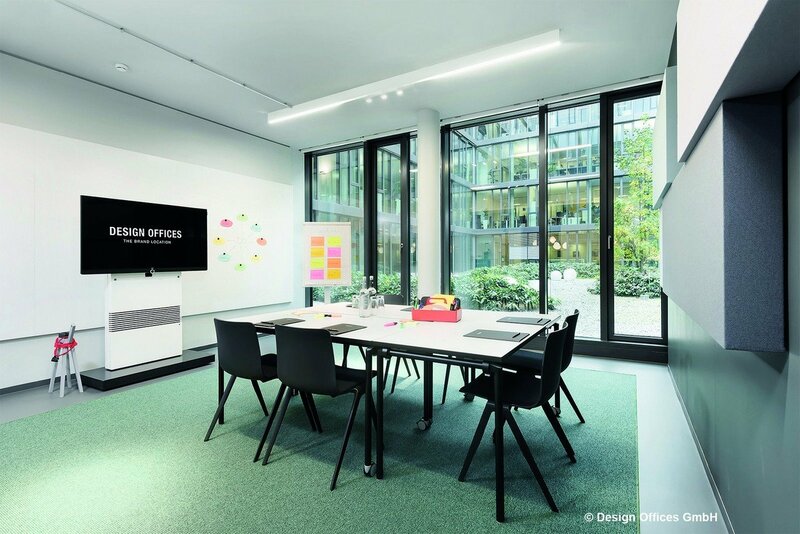 Stylish design and modern furnishings provide stimulation for creative ideas, while write-on magnetic walls, whiteboards and pinboards aid visualisation and illustration. Full, half day or hourly rental available.